« Have you ever seen a Cockroach launch a Bird? 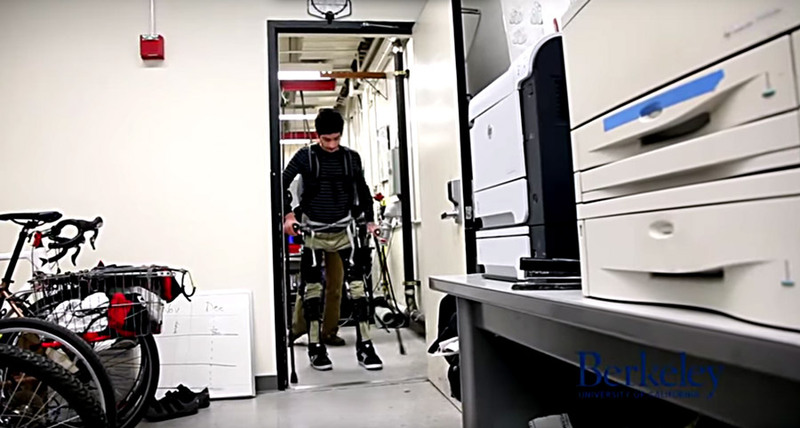 The roboticists at UC Berkeley are working the design of a robotic exoskeleton with a low price point. There are other robotic exoskeletons in existence right now, HULC being developed for the military in the United States, and Cyberdyne’s HAL being leased to the elderly for medical purposes in Japan, but each of these projects is met with the limitation of access, typically due to price point and lack of availability. This is a hefty task, but worthwhile, as you can see in the video. Giving the ability to walk back to those who have lost it is an amazing and noble goal, and the future of robotics augmenting human ability looks bright. This entry was posted on Thursday, June 4th, 2015 at 10:17 am	and is filed under Fun Stuff. You can follow any responses to this entry through the RSS 2.0 feed. You can leave a response, or trackback from your own site.